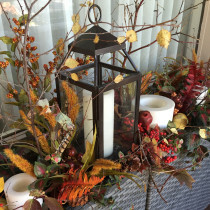 If you’re looking for a store that is part home decor, part delicatessen, part German bakery, full of beautiful household items and every December, filled with authentic Christmas ornaments, then you’ve got to visit Calgary’s Edelweiss Imports. 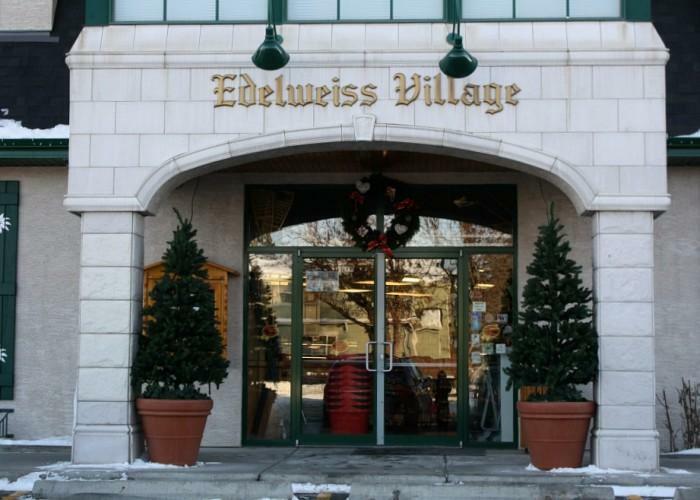 Located in the heart of northwest Calgary, visiting Edelweiss is like taking a mini trip to a European village. 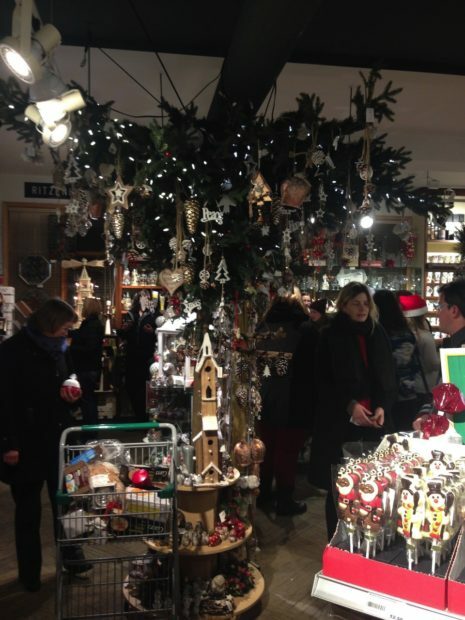 We heard about this wonderful store from our neighbour Vicki, who told me about the Sinter Klaas evening that Edelweiss puts on. If you come from a Dutch background then you know all about Sinter Klass. 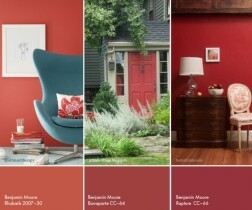 I learned about it from my husband many years ago when we first started dating. December 5 is an important day for the children of Holland because Sinter Klaas arrives and leaves presents. Sinter Klaas (St. Nicholas) lives in Spain and every year he chooses a different harbour in which to arrive in Holland. He comes with his helper and together they give out presents. 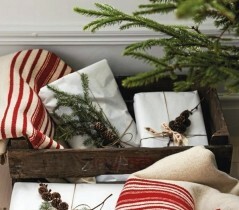 December 6 is St. Nicholas day, and depending which part of The Netherlands you live in, the gifts are left either in the evening of December 5 or the morning of December 6. 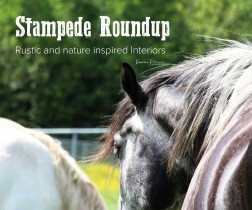 Edelweiss holds their evening on the Thursday before December 5. When we arrived at the store, the first thing that greeted up was the wonderful smell of Ollie Bollen. 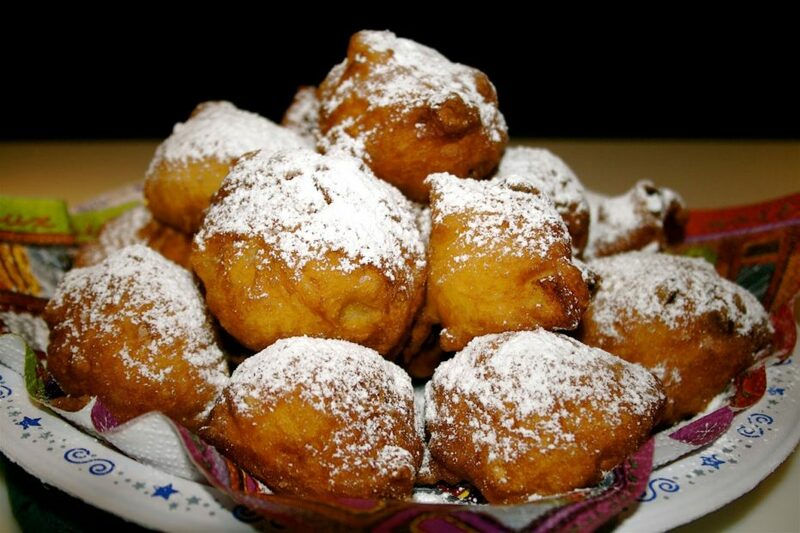 These are delicious donuts that are deep fried and covered in icing sugar. Typically served in The Netherlands on New Year’s Eve, they’re also popular at festivals and street markets during the winter months. We enjoyed our Ollie Bollen and a glass of apple cider, which was served outside under a canopy. 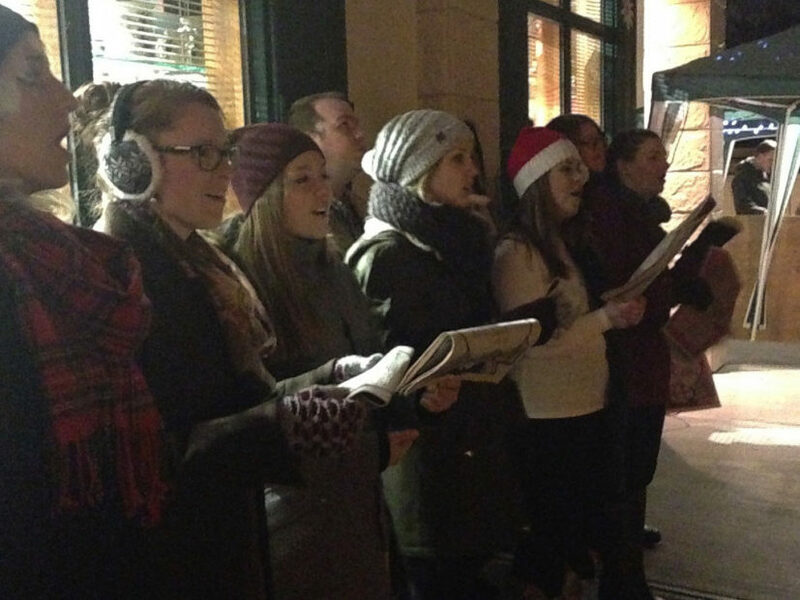 A wonderful choir was present and filled the air with carols. We made our way into the store and the boys were in heaven. On this special night, they offer free samples. We tried pickles, cheeses, meats, rosti potatoes, and candy. 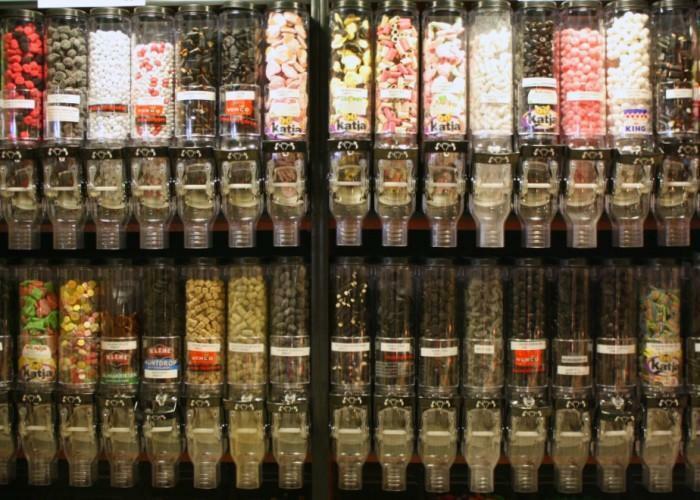 I never knew there were so many types of liquorice available. The best part is they were very generous with the free samples and even indulged the boys with a few extras. 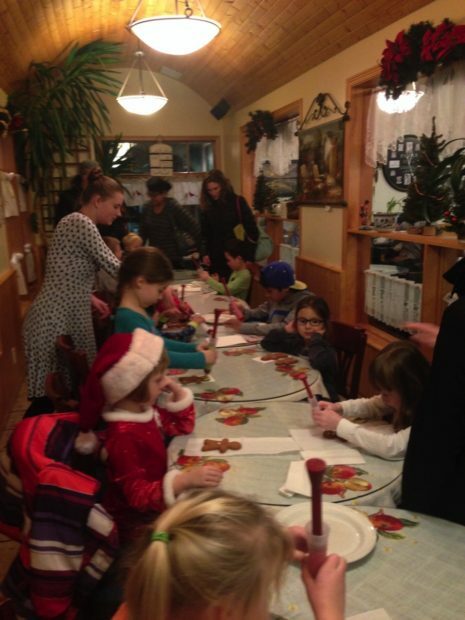 After visiting with Sinter Klaas, the kids could decorate cookies. They also have a cafe on site (Kaffee Stube) which serves authentic homemade meals and treats. 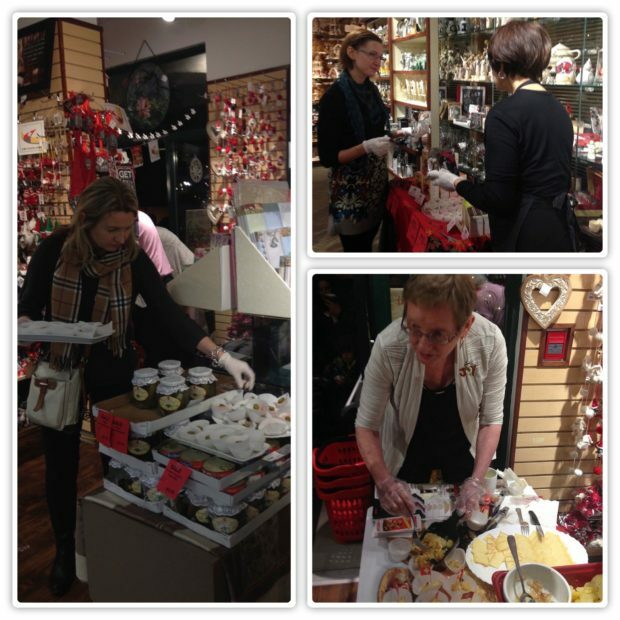 After our Ollie Bollen and trying out the samples, we had some serious shopping to do. If you’re looking for some unique gift items, Edelweiss has plenty to choose from. 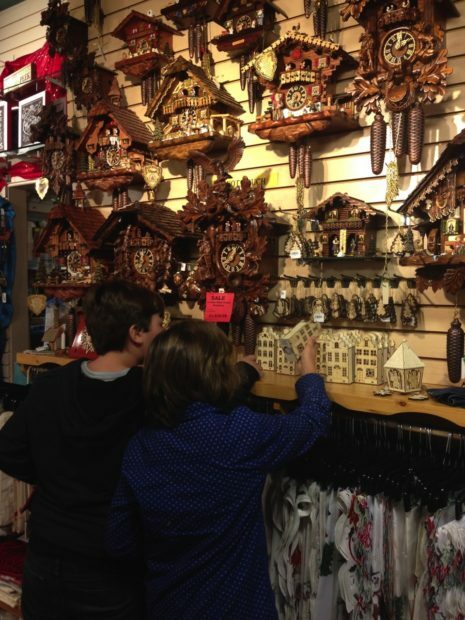 We like the cuckoo clocks and always enjoy checking out their extensive display. 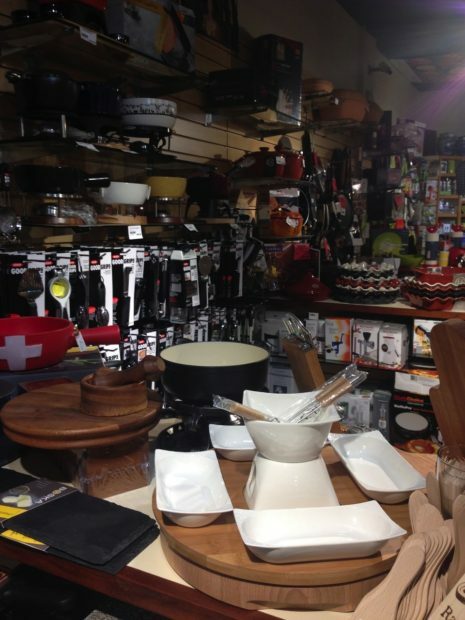 They also have some really beautiful and useful cooking items, as well as shelves and shelves of authentic German, Dutch, Polish and Scandinavian food items. 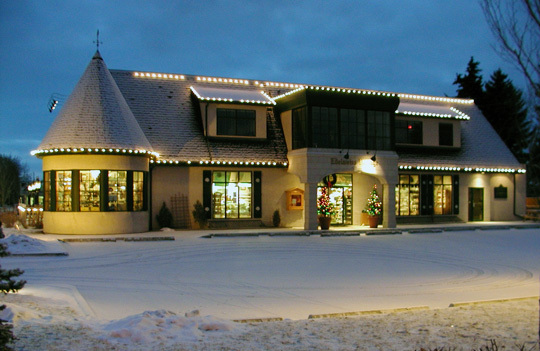 The store is decorated beautifully for the Christmas season, and they carry all the authentic Christmas ornaments. 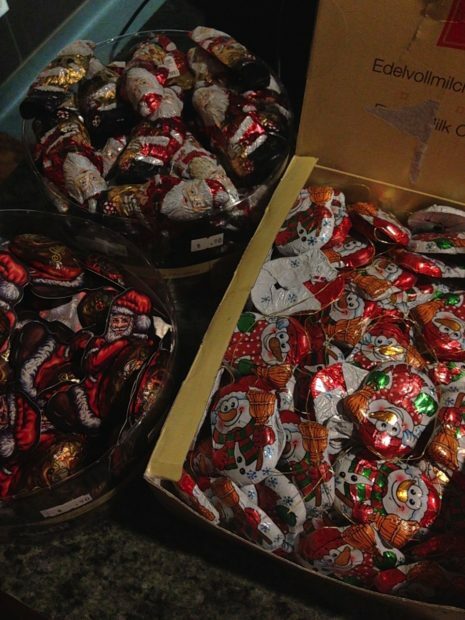 Every time I visit, I can’t resist purchasing the pretty foil wrapped chocolates. 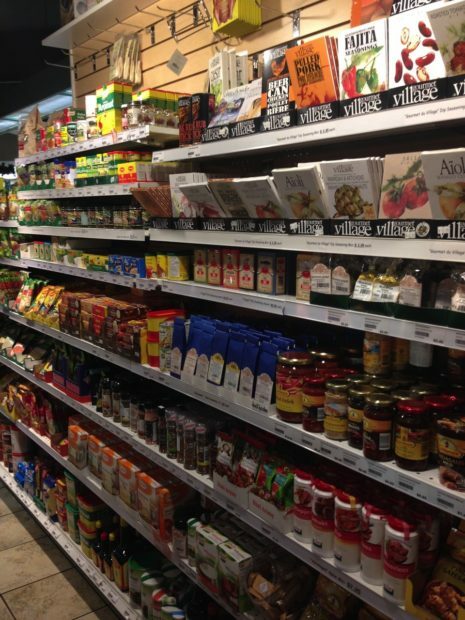 It really does feel like you’re shopping in a European village. Even down to the selection of magazines and movies in German and Dutch. 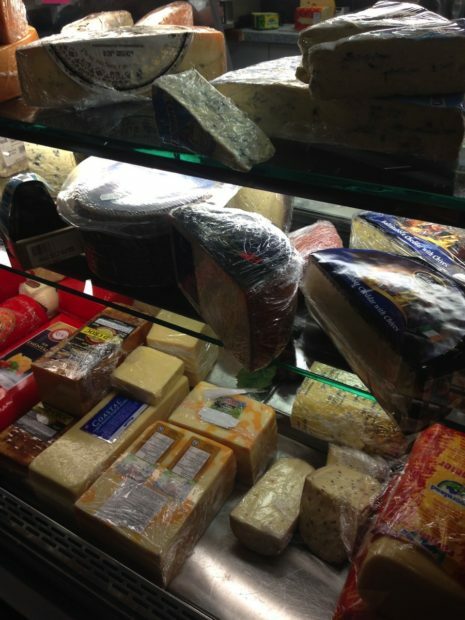 Edelweiss started as a European Deli in Brentwood Mall, and to this day carries a wide assortment of meats and cheeses. We purchased some German and Hungarian salamis and picked up both Swiss Gruyere and Swiss Emmenthal cheese to make a fondue with. 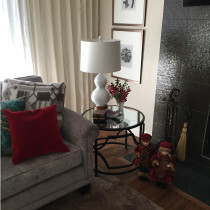 Edelweiss Village is a great place to visit anytime of the year, but at Christmas it offers one-stop shopping for decor, treats and unique gift items. Plus you can sit and have a schnitzel meal and a coffee. 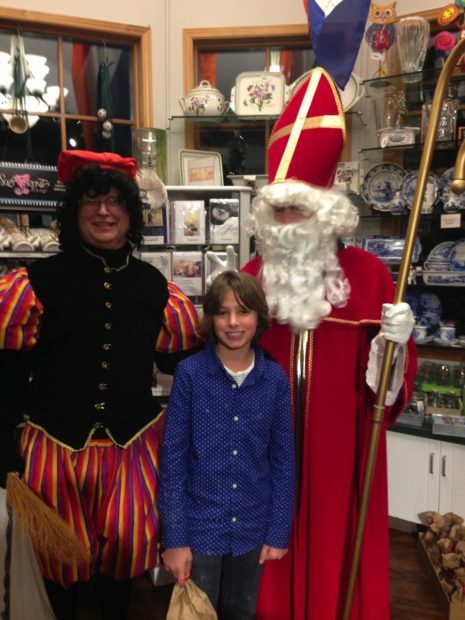 Next year, if you want a fun evening, remember the Thursday closest to December 5 and load up the family to attend the Sinter Klaas event held at Edelweiss.